“Tech shuttle” is such a loaded term in San Francisco these days. There are strong feelings all around, and at times, things have gotten out of control. But one tech shuttle rider sent us a thank-you letter after a surprising encounter with a Muni driver. I’m one of those evil people driving up rents by living in SF and working at a tech company in the South Bay. I take the company coach to work every morning. 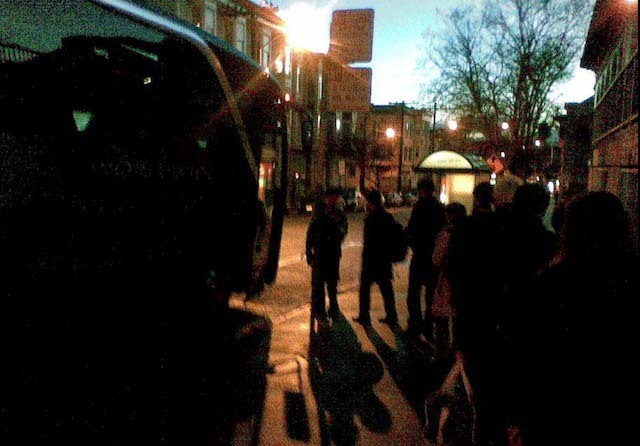 Sure enough at the next stop we caught up to the coach and I got on. 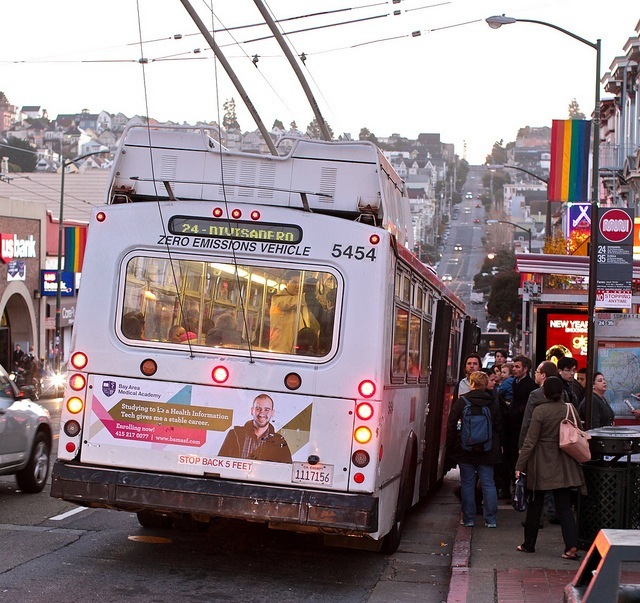 The Muni driver then got out of her bus and gave some good natured ribbing to the coach driver for missing a passenger and trying to beat her down her own route. They both had a good laugh then went on her way. Thanks again to the wonderful Muni driver for the assist on my morning commute! Say what you will about the tech shuttles in the city, I think random kindness always rocks. 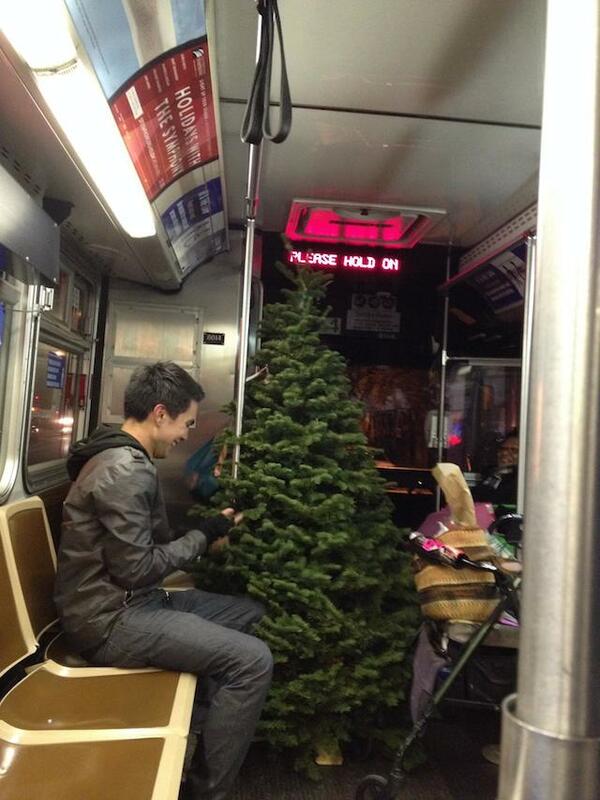 Amid complaints about literally freezing temps here in the city, Christmas trees are showing up on Muni to complete our certifiable “real winter.” Pics above and below by Keri on the 12-Folsom (AKA the TWAAAAAALVE). I’ve heard tell of real snow falling to the ground and staying there, or resting festively on the actual Christmas tree as you bring it home. Perhaps we San Franciscans will experience such phenomena this holiday season. 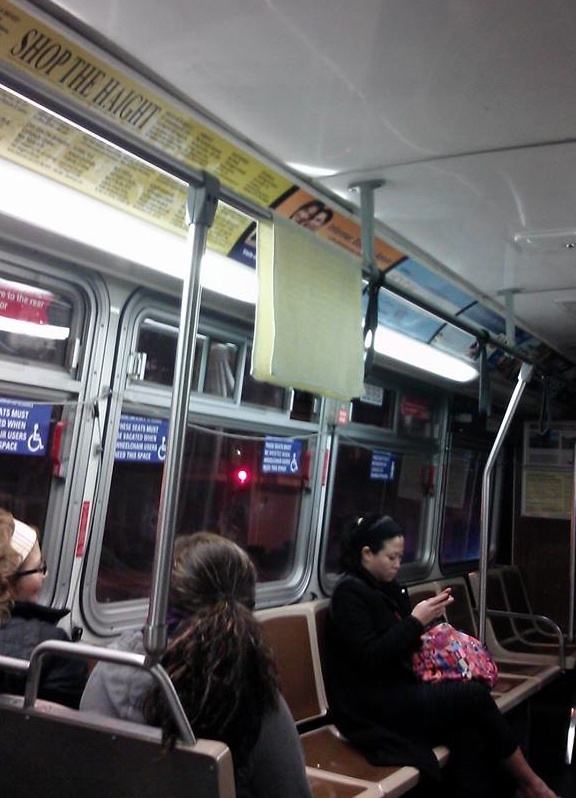 Tofu St. John sent us this photo of yet another clever (or weird) use of Muni hand rails. I just hope it isn’t a gross damp gym towel that someone decided to air-dry on the way home (mouth vom!). Remember the days when you thought the rails were just for hanging your dry cleaning? That’s sooo 2010. 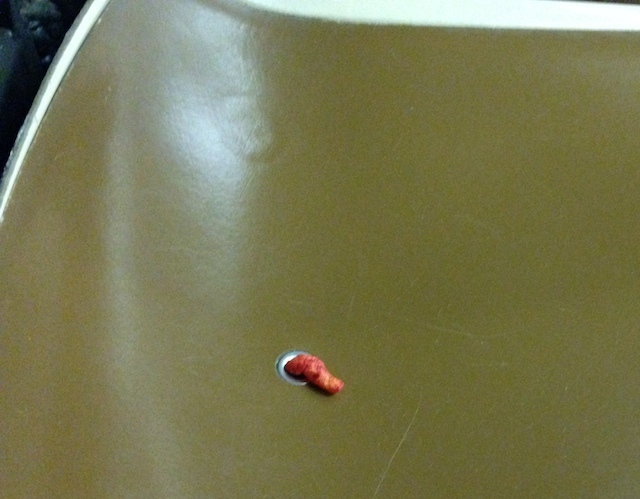 That sure looks like a Flamin’ Hot Cheeto to me. One trying to return to its horrid point of origin, perhaps. 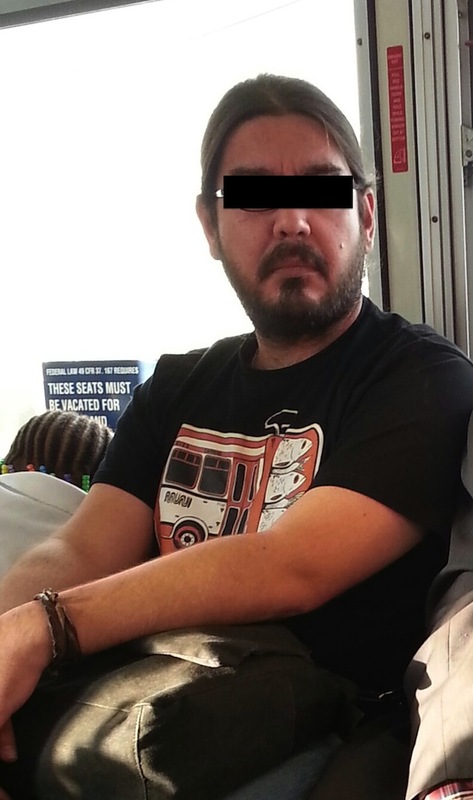 Not so for Muni rider Sam. To be fair, Sam was there. I was not. Packed like what on Muni? We did some digging, and found the SF store that sells these gems, which are on sale for only $20. DSF Clothing Company is located in Lower Haight.